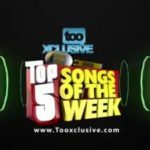 The song is made from the material of the currently trending Shaku Shaku sound and it contains a subtle, but quite easy-to-confuse message to youths who engage in activities relating to drug use.Olamide is hardly a moralist but on “Science Student“, he asks questions of the abusers of drugs and perpetrators of other societal ills even though his creative use of words gives him away as a man standing with a group of moralists, whose heart is however with the ones to be advised. The song has the creative input of Young John and B Banks who served as producers on the record. ‘Science Student’ is a sure street pop hit in the making and its secrets like in the rhyming slangs, the groovy sound and the associated dance to it. Like the ‘streeps’ would say, it is a BANGER!! 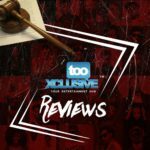 Won ti po chemical po, awon mo science students“Olamide – Science Student (prod. Young John x BBanks) [New Song]”, 5 out of 5 based on 2 ratings. 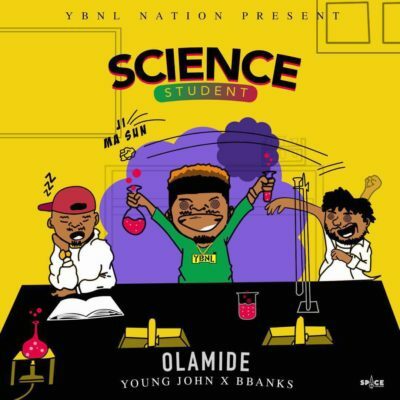 “Science Student” Video – Olamide Playing It Too Safe Or Trying Too Hard? Your Thoughts. The music promotes immorality and the sound is too noisy badly produced. Won ti po omi gutter po oju ti dirty, Won ti po chemical po Awon science student. Badoo osha, kinging originated Ijoba ybnl. Which kind stupid song be this one?! But the song no make sense na..
Baddo for the goons big up you bro. But be the first person to rock it money ??? But be the first person to rock it street ??? nice 1 bro… kep it up! It’s a shakushaku sometin basso eyan maywether. Jedi napel. Alee napel. Monkey tail napel. skushis napel. alomo Banbe. Kerewa Banbe Ogidiga Banbe. Baginaatu Banbe. Badoo go scatter street Once again..Shaku shaku dance on Point!! After God na olamide madt jam. oya badoo omo shaku shaku…ride on…..na u gt am….Olamide badoo…. Eluku mede tramadol lon mu bi tonic water yi ?????????? dis guy don kill me. ybnl keep on moving joor……..
to be sincere d song doesn’t make any sense,and for those ppl saying it’s a hit they all know it’s senseless! Long live d King ? of Naija Music Baddo sneh I Hail u baba. i never hear am. will comment later. still downloading. Omo, Ola….. Baddo still dey ooooo, i believe am. good one bro. Mr baddo you to much……… Real OG. Nice song olamide baddo.always on point. Daddy miliano you too much.. The sore truth is. Olamide has Lost it all. He can’t even produce a decent jam anymore. Whoever is his manager. I think Olamide should change him. baddoo we all love u and pls continue with the good work …..
….. God ll make ur achievement know no bound ……. Abeg… Olamide your a spirit. I have never heard your voice on the mic and spit out. This is wonderful one. Mavelous!! EVERY SINGLE WAS A HIT!! OMG!! E MA JE KO JABOLE OOOO..
Nice one Badoo na baba. Keep it up. One of the must humble young artist in Nigeria. Fire down Dude….. 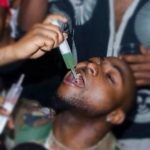 So he released an Instagram video telling people to abstain from drugs after the song was released. I don’t see consistency in that. People in the street need to have sense, they are counting on you. Stop doing otherwise. I Salute You Ooo,olamide Badoo. I can’t stop dancing ? Keep doing what you love best. Badoo. Badoo!!!! Keep it up ma homie, we got your back ma homie here in Zambia! Badoo sneh I bliv u neva finish work wit “science student ” fire dey go joor. Nice 1@Olamide, keep it up..
Música muito boa de ouvir…. gostei. Baddo u 3 much for gatoo and for street.